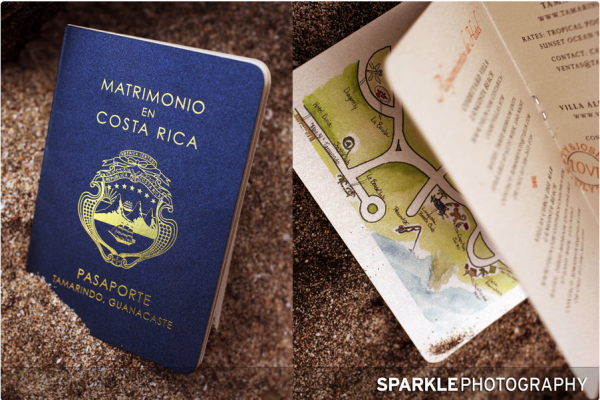 This Tamarindo, Costa Rica wedding invitation features 10 inside pages holding lots of fun details for guests. 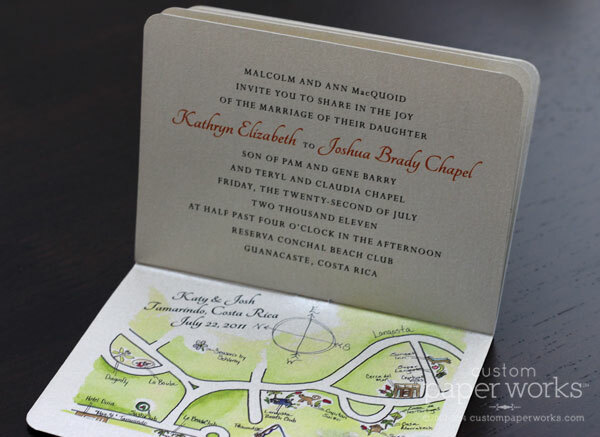 An adorable map that the couple provided was placed on the usual photo/visa page … a great example of the many things that can fill that page instead of the photo/visa information. 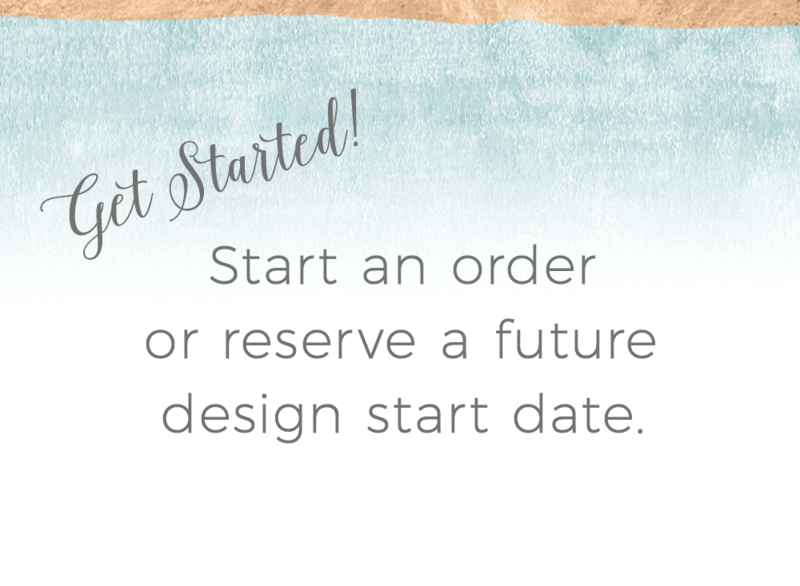 The remaining pages were filled with pre-wedding events, wedding-day schedule, accommodation options, activities, a page full of contact information in case of travel questions, and my favorite additions – a packing checklist and weather information. 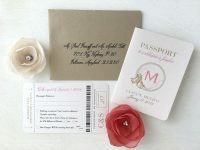 If you’re not a fan of creating your own wedding website, adding extra pages to your passport invitation is a great way to send all the information your guests could need. 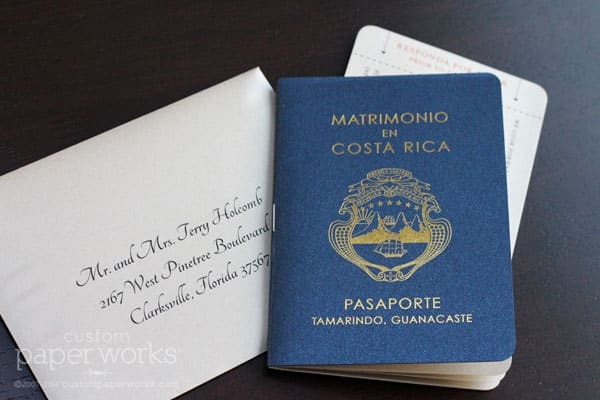 Sparkle Photography captured a much better photo (of course) than I ever can: check out some more pro photos from their wedding HERE. 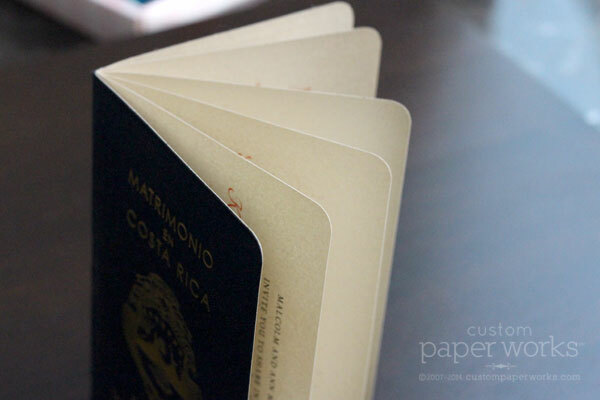 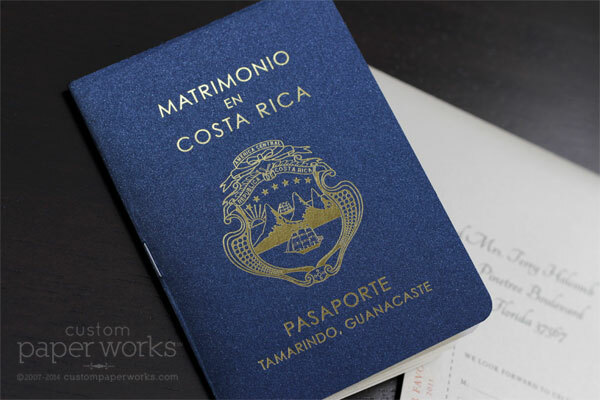 See another Costa Rica Wedding Passport Custom Paper Works created HERE.